Home to over 100,000 full time students, Manchester offers the UK's largest student populations outside of London. With the main universities concentrated around the main Oxford Road district, the demand for student property in Manchester city centre is at a premium. 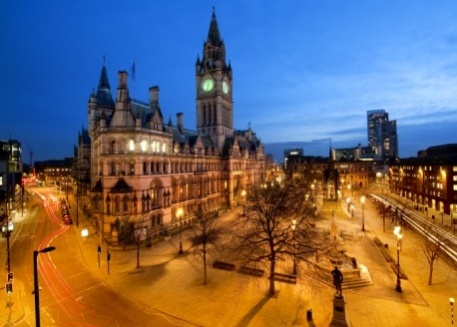 Situated in the North West of England, the city of Manchester is one of the UK’s most popular destinations for students, and today in excess of 100,000 students study in one of the numerous higher education establishments which are situated in the city. With the global profile of the city increasing considerably in recent times, it is understandable that Manchester is now home to one of the highest percentages of overseas students of any UK city outside of London. The high volume and turnover of students each year presents interesting opportunities for investors wanting to purchace student investment property in Manchester. At the heart of the Manchester student scene is the Oxford Road area, where the University of Manchester, Manchester Metropolitan University, Manchester Business School and the Royal Northern College of Music are all situated. 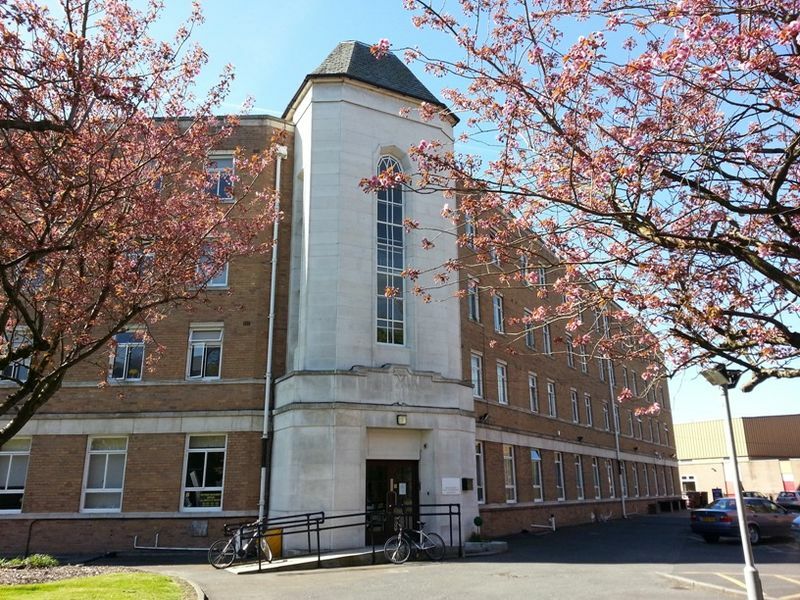 Away from the main campuses, other leading centres of learning such as the Manchester Childrens and Universities Hospital, and the Manchester Dental Education Centre are also to be found in the Oxford Road area of the city. Despite its heavy industrial heritage, Manchester is today a busy and thriving commercial centre, and a large number of international companies have decided to base themselves within the bustling city centre area. Widely acknowledged as the UK’s leading commercial centre behind London, a substantial amount of investment over the past ten years has increased the cities corporate appeal. Most notably, the BBC relocated over 2,300 staff to its new Manchester offices in Media City. Such a large number of students has resulted in a substantial demand for student accommodation investment in Manchester over the past ten years, much of which is currently situated in the Fallowfield and Rusholme districts of the city. With the increasing numbers of overseas students now coming into the area, the demand for higher quality student accommodation in Manchester is now at an all time high, and likely to increase in the foreseeable future. Subsequently, if you are looking to buy a student property investments in Manchester, it is crucial that the location mirrors the concentrated nature of the various establishments in the city. Beginning life as Manchester Polytechnic in 1970, Manchester Metropolitan gained University status in 1992 and has since become the fifth largest University in the UK by student volume. Manchester Metropolitan holds a certain gravitas and respect amongst the new universities and can boast many well-known alumni including actor Steve Coogan, television presenter Vernon Kay and World Champion rugby player Danny Grewcock. Originally spread across seven campuses, Manchester Metropolitan is currently undergoing a mammoth re-structuring scheme to reduce the number of campuses to just two. All Saints, the university's main campus, is located in the city centre and is accessible through a number of public transport channels. Manchester Airport is less than 20 minutes' drive, Manchester Piccadilly less than 20 minutes' walk and the nearest motorway just 5 minutes' drive. Tram and bus networks are frequent and reliable in the city, connecting the students with both their accommodation and their centres of study. 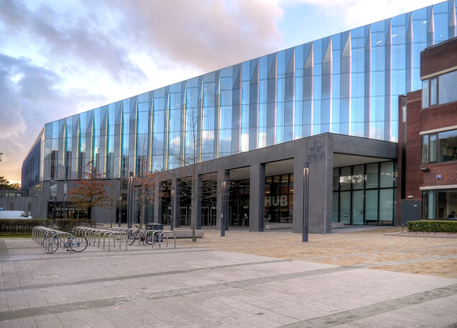 As the fifth largest University, Manchester Metropolitan has a population of almost 35,000 students. 80% of those in attendance are studying undergraduate degrees with the remaining taking postgraduate courses. Almost 80% of all students complete their degree in its entirety, with 94% of first year full time students entering from state schools. The student base is made up of more than 100 different nationalities with 11% of the population coming from outside of the UK to study. The gender split is weighted towards females, with just a 42% male population. As is common with new universities, Manchester Metropolitan excels in their vocational qualifications. The institution is well connected with a number of industries outside of the academics; including business, art and trade. The eight faculties of Manchester Metropolitan play host to the highest number of undergraduate applications in the United Kingdom across 1,000 courses and qualifications. 81% of teachers who train at Manchester Metropolitan, and 80% of health care staff, continue to live and work within the North West. Manchester Metropolitan is heavily invested and focused on improving the city, local area and North West of England as a whole. The institution is also much more forgiving in entry standards, allowing students to prove their worth outside of UCAS points and A-Level grades if necessary. Almost half of the student population are from low income families. The University has also been noted as one of the top 20 in the country for their teaching standards. 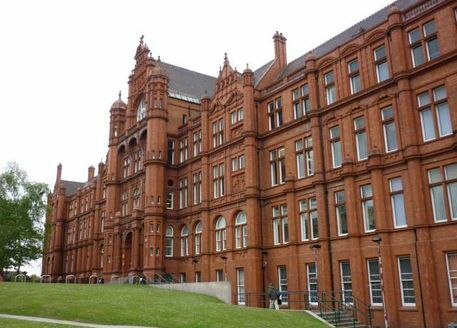 Whilst the institution we know today was formally established in 2004, as a merger of Victoria University of Manchester and UMIST, the University of Manchester can trace its history back to 1824 as one of the very first red brick Universities. With 25 Nobel Prize Laureates amongst staff and students, the University of Manchester list of alumni is both long and illustrious. The University of Manchester is spread across the city centre and the surrounding area, without an official or recognised campus as such. With its wide coverage of the metropolitan area, the University enjoys excellent public transport links being just 20 minutes' drive from the airport and 6 minutes' drive from Manchester Piccadilly Station. The urban bus and tram network also connects many of the University buildings and the accommodation. The University of Manchester is attended by around 40,000 students, making it the largest physical University by student volume and one of the most equal in gender split. Three quarters of the student base are undergraduates, with the other quarter being postgraduate. 93% of all students complete their degree and more than 70% of those achieved a 2:1 Honours Degree or higher. Employing more than 10,000 staff, the University is a significant economic force for the city. Consistently ranking within the top 30 Universities over the past five years, the University of Manchester can boast more than 15 subject inclusions in the top ten. With a reputable ascendancy in Engineering, Economics and the Life Sciences; the University of Manchester is known for producing some of the most gifted graduates in the United Kingdom. The institution has a strong focus on offering highly employable areas of study as well as teaching their students to be prepared for employment, with 92% of graduates immediately being awarded employment or further study. The University of Manchester is one of a growing number of Universities which interviews and selects its students without using the UCAS points system, allowing them to look beyond stringent academic success. 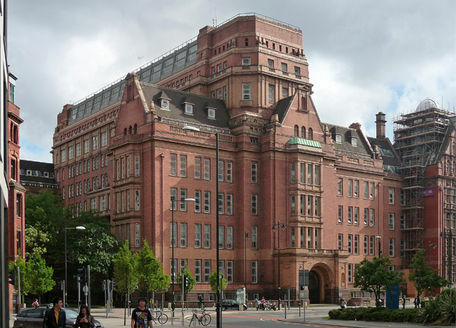 As a member of the Russell Group, the University of Manchester enjoys large success and focus on research; with particular emphasis on biomedical research and disease fighting. In an effort to increase their already outstanding contribution, the University has announced that it is aiming to gain a world-class research profile by 2015 and break into the top 25 universities worldwide. The University's largest campus (Peel Park) is just a mile and a half from Manchester city centre, with other campuses and university buildings situated nearby. The new 'MediaCityUK' premises opened in 2011 to accommodate an extra 1,500 students, just a ten minute drive from the city. With the M602 and A57 running into the city centre, three railway stations within a few miles and the airport just over 10 miles away; all areas of the University of Salford are easily accessible and well serviced by public transport. The current student population of the University of Salford is made up of almost 20,000 residents, with 15,000 being undergraduates and 5,000 postgraduates. Gender split is almost equal, a fifth of students are of ethnic minority backgrounds and more than half are over 21 when they come to study. Three quarters of those who enrol will see their studies through to the end and almost 60% will be awarded a second class upper division honours degree or higher. All first year students are guaranteed accommodation within a mile and a half of campus. The University of Salford achieved fame and success during the industrial revolution whilst Salford was a hub of engineering and construction and this lives on in the institution's subject base today. The most popular and renowned fields of study offered by the University of Salford include Engineering, Mathematics, Applied Physics and the Built Environment. Salford is the UK's leading University for the Built Environment, but it has been expanding into other areas including the Arts and Media, along with Health and Social Care. The University of Salford was one of the first educational institutes to develop and provide sandwich courses, with 75% of all their subjects offering placements within industry or studying abroad. The Student Union of Salford produce Britain's largest student newspaper entitled Student Direct and this will be further developed by 2014, by which time a £50m 'Arts Building' will have been built and opened.